data to the end of 2018.
for both the full data and the deseasonalized anomalies. Please send me an email (randel@ucar.edu) if you have questions. 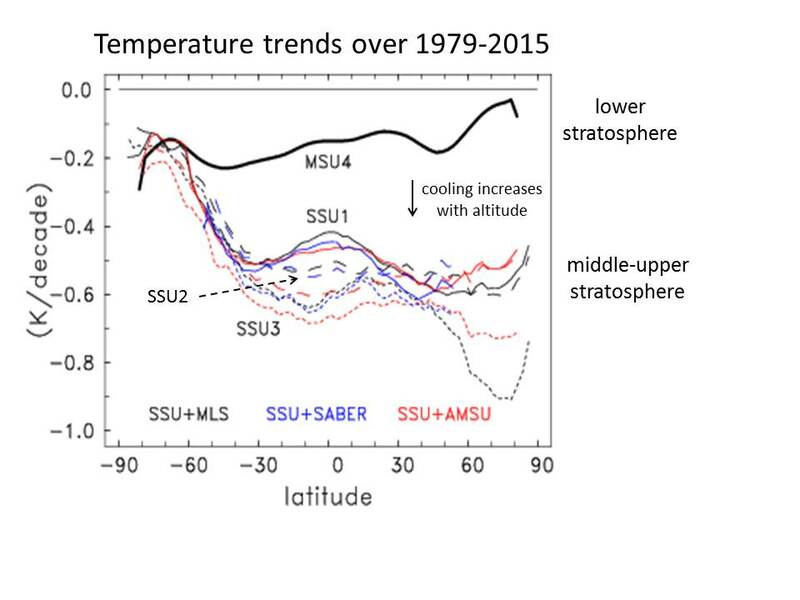 Here's a plot of the annual average stratospheric temperature trends covering 1979-2015.